The content of each post and each comment represents the views of that author and not that of the ISHR. We welcome content suggestions from all Columbia students or faculty members interested in writing on their areas of concentration or research. 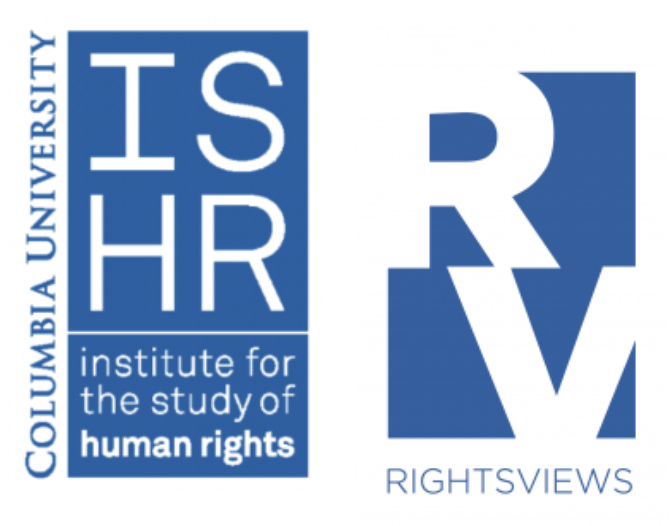 We will also accept content from guest bloggers with relevant research interests or expertise, as long as it is in line with RightsViews´s content guidelines and rules, and on final agreement from the editors/ISHR staff. The RightsNews Blog is intended to foster conversation and dialogue about developments and research in the human rights field. To that end we strongly encourage readers to reply to posts, and to each other, through the blog’s comments. Comments that contain profanities are automatically screened and deleted. Different points of view are always welcome, but comments that are offensive, illegal or violate the rights, or threaten the safety of any person are subject to moderation and deletion. Do not impersonate any person or entity, including but not limited to, an ISHR employee, forum leader, guide or host or falsely state or otherwise misrepresent your affiliation with a person or entity. Give credit when you borrow from someone else (either by linking to the source or quoting and providing the source of the quote). It is the author´s responsibility to ensure their online conduct is in line with these rules. We ask that you help us maintain an atmosphere of respect. Individuals who break the rules above may be blocked.